NatureTap is a really fun app for kids as well as adults. Green Mountain Digital loaned me an iPad and asked me to have my kids test it out and review it. The app includes great profiles of birds, spiders & insects, reptiles & amphibians, and wildflowers. Anne, age 9 - "Tell everyone that I love it! My favorite game is the State Bird Game. I got 45 right and I kept playing it until I got all 50 right." Victoria, age 7 - "I like the matching games. I'm really good at it." Claire, age 4 - "My favorite is the matching game. 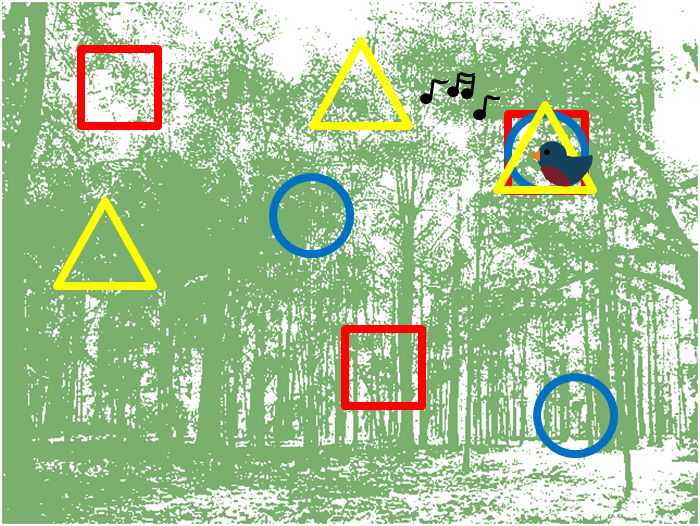 Daddy, can I play the nature games on the iPad again." Kyle, age 10 - "I want to play the games too, but my sisters are hogging it. Give it to me! It's my turn. Daaaaad! The girls aren't sharing." Claire, my four year old and Victoria, age 7 were able to navigate their way around the app effortlessly. Watching them play the Bird Sound game was amazing. More often than not, she was able to intuitively select the right bird from four choices based on the sound alone...even some that I, the experienced birder, would have gotten wrong...all based on their gut instinct about the type of sound and associating it with a picture that just seemed right to the girls. Interesting that our brains have that ability, but perhaps get a bit clouded with time and experience. There is some human mind power I need to tap into. What a great learning tool the bird sounds game is too. Anne, age 9, aside from the State Bird game, she also enjoyed browsing the spider pictures and showing them to their arachnophobic mom. She would curiously peruse the details profiles of the various species, she is after all, my super-reader child. Kyle, age 10, seemed to enjoy all the games, but gravitated toward the game where you match the name to one of four images. He commented about how cool the different critters were and how he didn't even know they existed. Dad, age 34, also enjoyed playing all the games. I can see that prolonged and regular playing would certainly increase the knowledge base of the amateur naturalist. 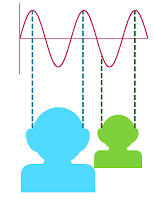 The bird sound game had a lot of great potential to help birders tune their ears; strikingly similar to Larkwire, which I will also review in the near future. 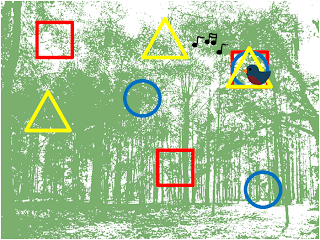 I was most impressed with NatureTap due to its innate ability to engage users, both kids and adults. Learning by way of games is fun. The beautiful images of the sundry species are themselves captivating. The app itself is free and it is currently only for iPad on iTunes. (Will it be available for Kindle Fire coming soon??? I got one for my wife for Christmas!) Once you have downloaded the app, you then purchase the additional features like more birds, and the reptile & amphibian pack, etc. The prices are very reasonable and very worthwhile. 1) Start simple--At its easiest, you can always use "bird" as a replacement for a one syllable word in a song lyric. This often works best when replacing a word in the middle of a line rather than one that ends a line and needs a rhyming word to finish the next line. There are only so many words that rhyme with bird, and they aren't all that useful. 2) Start small--You don't have to make up lyrics to a whole song--many birders don't get beyond coining a few choice birding hooks, such as the title to this post, or something like Twisted Sister's I wanna bird! 3) Start at home--While masters of birdaoke can make up new lyrics and rhymes on the fly while driving around in their birding mobiles, if you are new to the practice, you may want to start by preparing a few choice lines at home before your next birding trip. Then when the birding is slow, or you are exulting in some birding moment with your birding buddies, you can let loose with your prepared birdaoke without having to make it up on the spot. 4) Practice--Once you are a bit more experienced, you can go as big as you want. True masters can take any song playing on the radio (does anyone listen to radio while birding anymore?) or on their friend's iPod and turn it into birdaoke on the fly. There is nothing like being in the presence of a true birdaoke virtuoso. As with all birding skills, practice makes perfect. So practice at home or on your own and soon you'll be able to birdaoke with the best of them and really impress your friends! 5) Go Big--When you find yourself turning all your favorite songs into birdaoke, you know you've started to arrive. 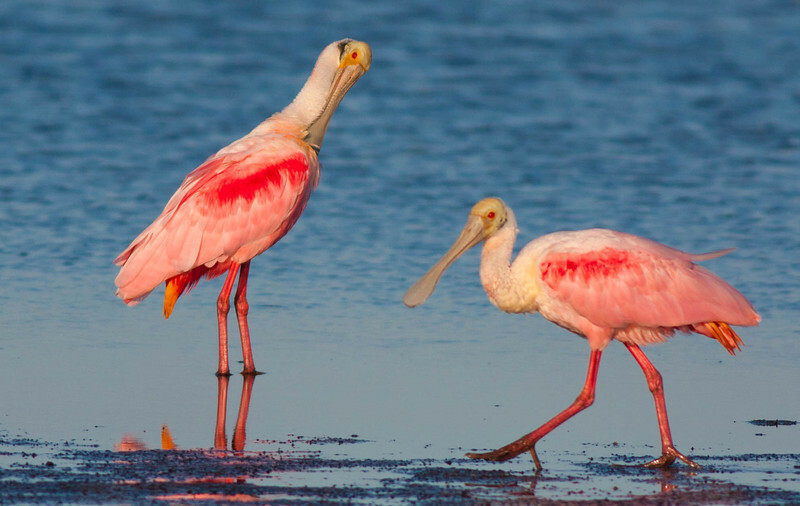 You can be the hit of any birding excursion, and may even be invited to host birdaoke at your local birding festival. You could be birdaoke celebrity and record your own LP! For a bit of inspiration, here's a classic 1970s birdaoke to get the juices going--Mega Rarity Rhapsody! 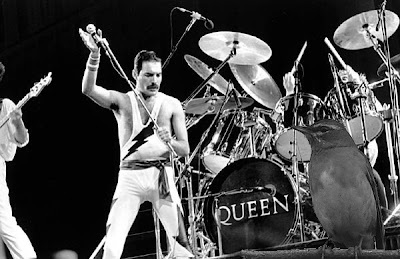 I sometimes wish I'd never been born at all! Flown in from Siberia, very, very exciting me! It's a Mega! It's a Mega! It's a Mega! Eye-browed Thrush! Magnifico! Just the kind of guy to find a mega rarity! Oh mama mia, mama mia, mama mia, where'd it go? 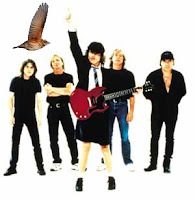 So, birdaoke maniacs, what's your own favorite bit of birdaoke? During my Christmas vacation I took my fiance on a 300 mile drive to the Lake Havasu area. I convinced her to go with me by saying, "When else are you going to get to see the London Bridge?" Ha! Of course the real reason I wanted to go was to see a very rare Nutting's Flycatcher. It was discovered by David Vander Pluym and Lauren Harter on December 18, 2011 in a riparian area of the Bill Williams National Wildlife Refuge. At first, they heard the bird giving it's "wheep" call but were unable to find it. 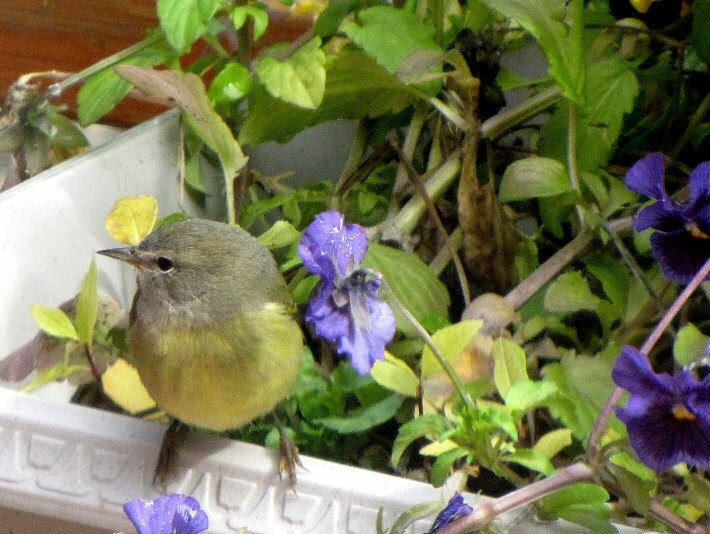 They suspected Nutting's Flycatcher but wanted to make sure. So they returned the following day with a recording of Nutting's Flycatcher. 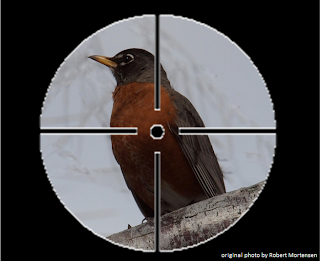 The bird responded and some sound recordings and photos were obtained. 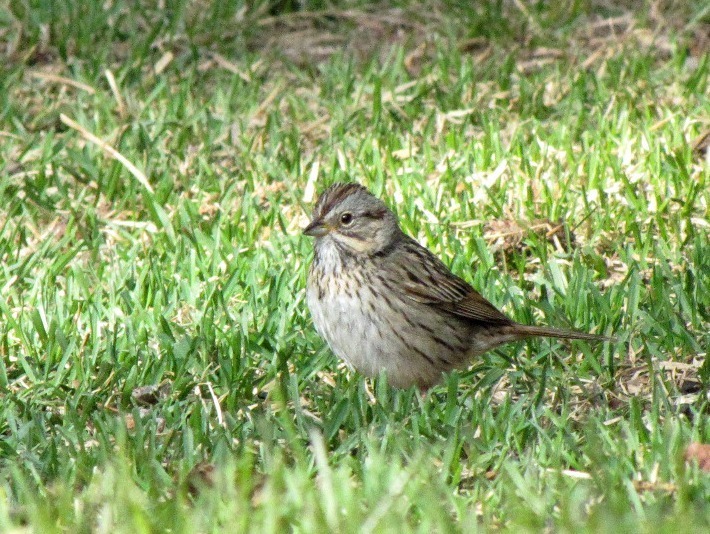 There are only four previous records of this code 5 bird in the ABA area, three in Arizona and one in California. 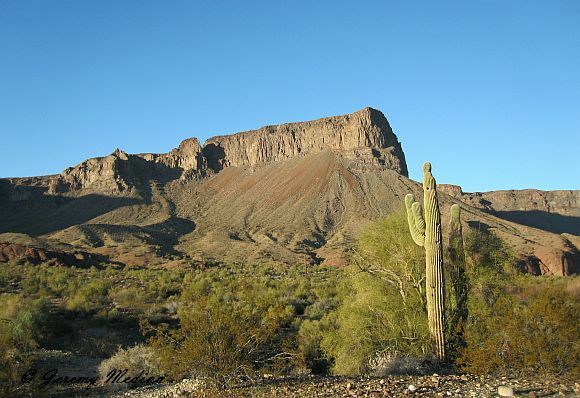 The most recent Arizona record was from this same location in 2008. In 1998, Sandy Komito began his epic Big Year with a Nutting's Flycatcher at Patagonia Lake State Park. 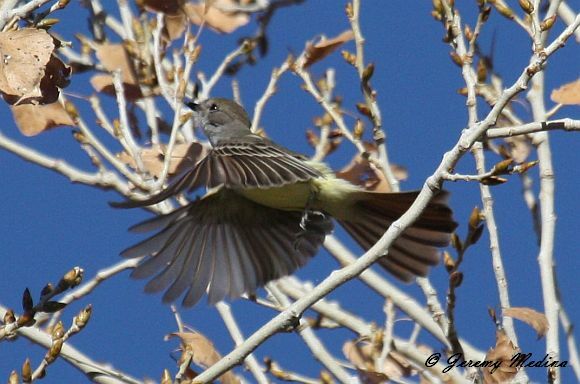 This year John Vanderpoel will try to end his Big Year with the Arizona Nutting's Flycatcher. Lauren tells me that a lot of bird research is done here including annual surveys for Southwestern Willow Flycatchers and Yellow-billed Cuckoos. This area is also a big focal point for the Bureau of Reclamation's Multi-Species Conservation Plan. They have been contracting the Great Basin Bird Observatory for projects that involve quantifying the density of breeding bird species in various habitats along the Lower Colorado River. 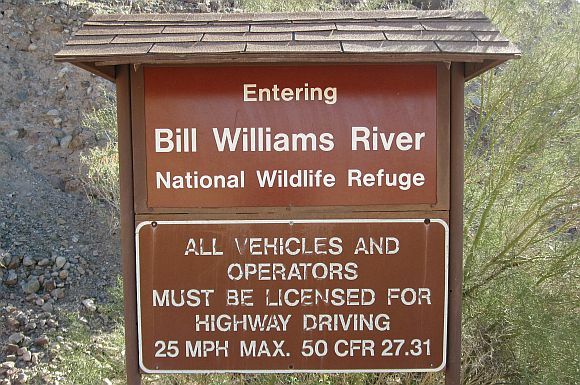 The Bill Williams NWR is very important for all this research because it is the healthiest and most extensive remaining cottonwood-willow habitat on the Lower Colorado River. 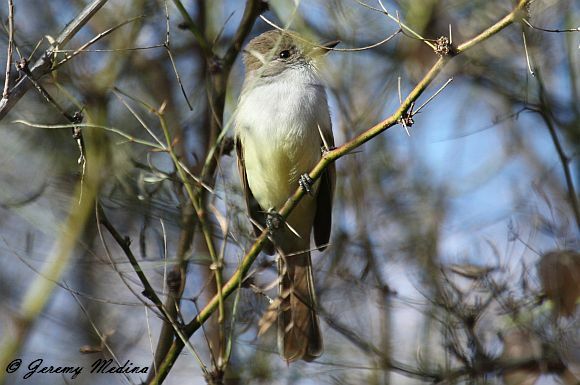 The flycatcher was discovered in a riparian area 2.5 miles east of the south end of Lake Havasu. We arrived here in the afternoon. I ran into Clive Green who had seen the bird earlier and he pointed us in the right direction. 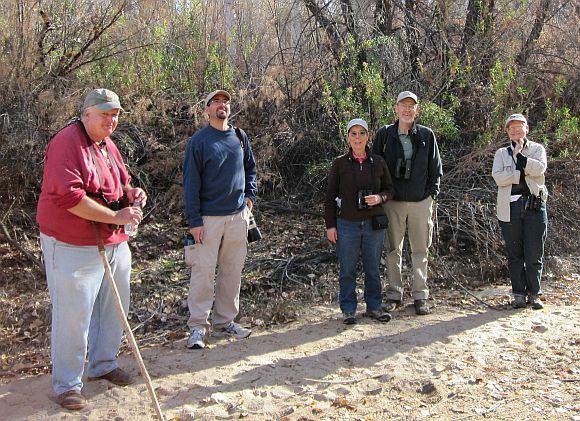 The directions said to look for saguaros growing out of a palo verde tree and head toward the riparian area. This is where it got interesting. We were supposed to look for pink and black flagging tied to a bush to find the trail through the tamarisk trees. We couldn't see any path through the thick trees, but we finally found the marker. So we made our way down the steep slope and into the brush. The path was very narrow in some places and we had to duck down under branches four feet off the ground. It's a good thing there were other markers in place because we took the wrong turn several times. We finally made it through the brush and into the wash where the flycatcher was supposed to be. After a few minutes we heard the "wheep" call but were unable to locate the bird. After lots of searching, I decided to try again in the morning when most sightings had occurred. So I took Gaby to see the London Bridge. It was pretty cool, but it wasn't a Nutting's Flycatcher! We arrived the next morning shortly after sunrise. There were already two cars parked along the road. This time Gaby decided to stay in the car and read. When I got to the wash I was surprised to find it without any birders. Where were they? After a few minutes I heard the "wheep" call coming from the south side of the wash. Yes! 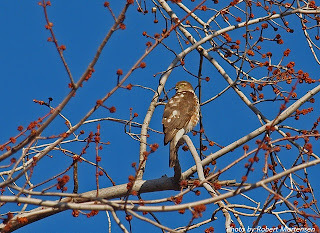 I searched the cottonwoods and there it was flying to a new perch! The bird flew across the wash and out of sight. It turns out this wash is actually the county line that divides La Paz and Mohave County. For the next half hour I didn't hear or see the bird. Actually, I heard the sound of it's bill snapping quickly shut while flycatching, so I knew it was back there somewhere. Just as I was thinking of heading back to the car, I heard someone making there way through the brush. It turned out to be Gaby bringing another birder named Pat to the wash. She had come all the way from Maine and had been looking for the area all morning. I told them I had seen the bird earlier but hadn't seen it in the last thirty minutes. I decided to play the recording to see if it would respond. It called. "Yes!" said Pat with an emphatic fist pump. 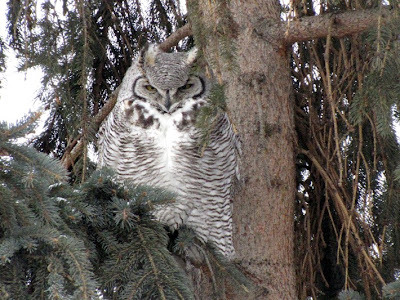 I spotted it land in a nearby cottonwood and got Pat on it right away. We enjoyed obscured looks at it moved around the top of the tree. Then Joan and Malcolm joined us just in time to get good looks of the bird and hear it call. They had come all the way from Calgary! We were all very excited. Then Chuck joined us and was able to see the bird too. He was from San Mateo, CA. All of a sudden, the bird flew towards us and darted into some bushes fifteen feet next to us. Wow! I grabbed my camera and rattled off and few shots and Malcolm did the same. 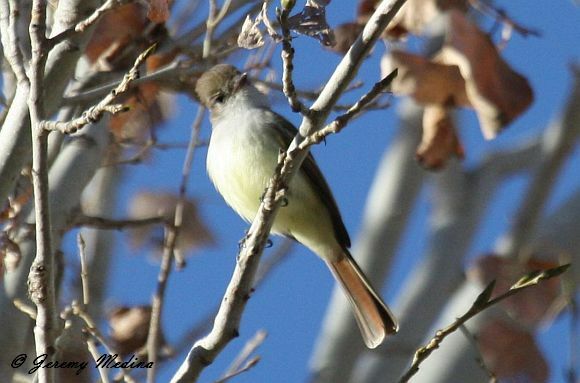 UPDATE 12/28/11- While doing a Christmas Bird Count in the Bill Williams NWR, three birders claim to have seen, heard, and photographed a Nutting's Flycatcher about 0.75 miles from the original location. After speaking with another birder who saw the Nutting's Flycatcher at the original location, it was determined that they were looking at the birds at the same time. So it is possible that there are now two Nutting's Flycatchers in the area! 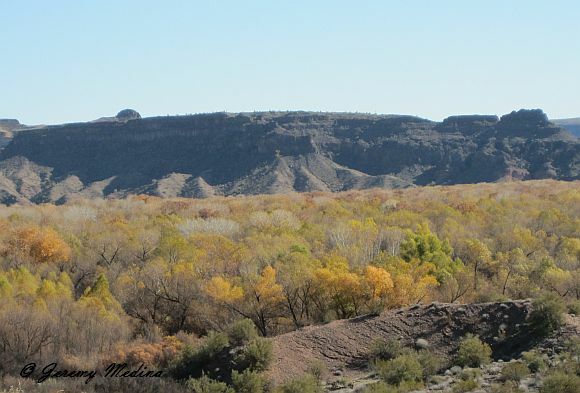 To follow this incredible new development, see the AZ/NM rare bird listserv. About a week ago I did a Christmas Bird Count near Cocoa Beach, and I met several birders that were vacationing here in Central Florida. Several participants expressed interest in where to to find various species they wanted to see while in Florida. I've also begun receiving many emails from people coming down to Disney this winter, but wanting to "get away" from the Mouse for a day to find some nice places to go birding. Robert Ripma has already written a wonderful post about Merritt Island's Blackpoint Dr here, but there are several places you can go that are about an hour's drive away from Disney, and some are even closer. Here's a short review four great locations you may want to visit. 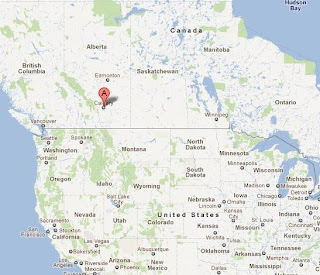 The titles have links to Google maps to help you easily find them. The first Central Florida birding location I fell in love with is Viera Wetlands. Because you stay in your car to view the wetlands, this may be a fun place to take your kids too. My kids are not that interested in birds, but they do like to see alligators, and you're likely to see several here. There are three areas I visit when I go to here. In each of these locations, I usually stay in my car to avoid spooking the birds. 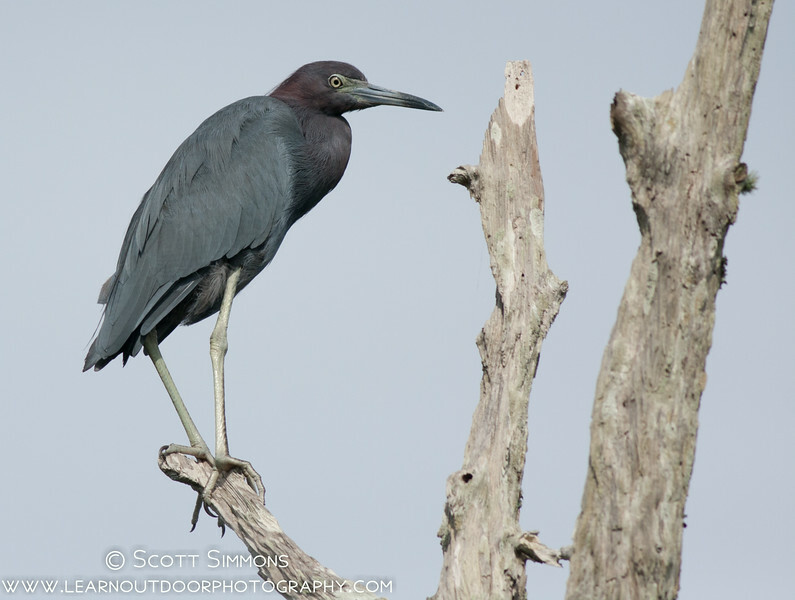 On occasion, I'll leave my car and crouch down low at the water's edge for a better view of birds on the water. Ritch Grissom Memorial Wetlands -- This is the place to begin. It's located right next to a wastewater treatment plant, and they just recently created an entrance that allows you to enter without driving through the plant's parking lot. 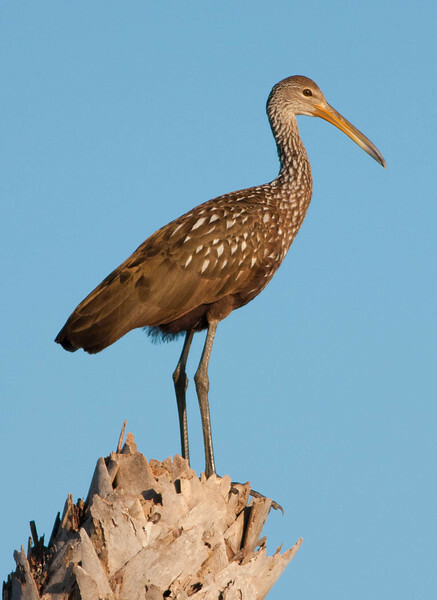 If you want to see a Limpkin, this may be your best place to go. The wetlands always have many herons and egrets, and if you look closely, you may be able to see American and Least Bitterns as well. Right now, this is a great destination for viewing ducks. In my last visit, I was able to view Hooded Mergansers, Nothern Shovelers, Blue-Winged Teal, Lesser Scaup and Ring-necked Ducks pretty closely. Also, look carefully in the taller trees for Crested Cara Cara. Bald Eagles, Osprey and Northern Harrier are commonly seen here too. Click Ponds -- N. Wickham Rd appears to dead end into the wetlands, but if you look to your right, you'll see that it jogs to the right as a dirt road where it continues farther west. Just after the "jog" in the road, you'll see a sign for the "click" ponds on the right. I always drive around this loop when I'm here. Sometimes there's practically nothing at the ponds. 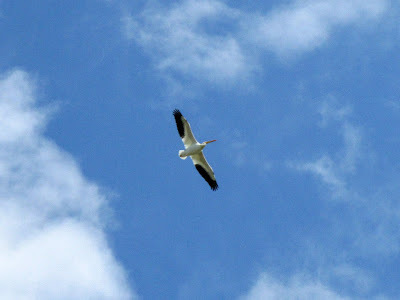 At other times, you may find a flock of 50 White Pelicans waiting to greet you. River Lakes Conservation Area -- If you continue farther west on Wickham Rd, it will dead end in the River Lakes Conservation area. I usually drive this road slowly to see what I can find. I frequently find American Kestrel and other raptors, Loggerhead Shrike, and toward the end of the road, Eastern Meadowlark. Orlando Wetlands Park is my favorite place in Central Florda. This is partly because it's relatively close to my house and partly because here you get out of your car and walk. I walk an average of about 5 miles when I go (though you don't need to walk nearly that far to have a good time here). It's made up of several impoundments with trails that surround them. The Birding Loop is a 2.5 mile walk, but I recommend leaving the loop. Some of my best finds have been off of the loop. This location is where I've found many of my firsts. Here is where I've seen my first Least Bittern, Sedge Wren, Fulvous Whistling Duck, Northern Waterthrush, Purple Gallinule, Yellow-Crowned Night Heron, Swamp Sparrow, Red-Eyed Vireo, and Painted Bunting. 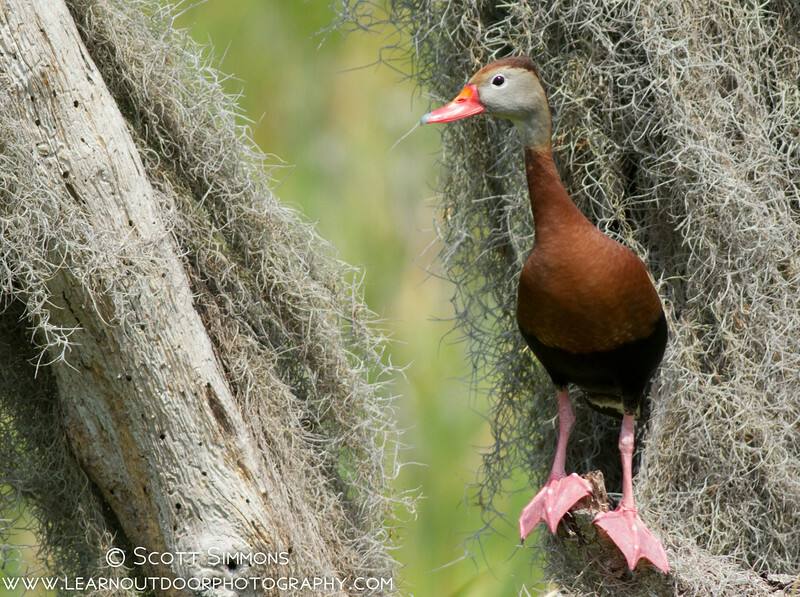 Purple Gallinules are frequently seen here, as well as Black-Bellied Whistling Ducks and Bald Eagles. Occasionally, you may see a Crested Caracara. Be aware, the park closes between Nov. 15th and Feb. 1st every year. As you may have guessed from the name, the Circle B Bar Reserve is an old ranch that has been converted into a reserve. It's a fabulous place to visit, especially if you want to get out of your car and hike around the impoundments. You should be able to see Roseate Spoonbills, Limpkin, Wood Storks, and most of the herons and egrets. But the reserve is also great place to find perching birds as well. 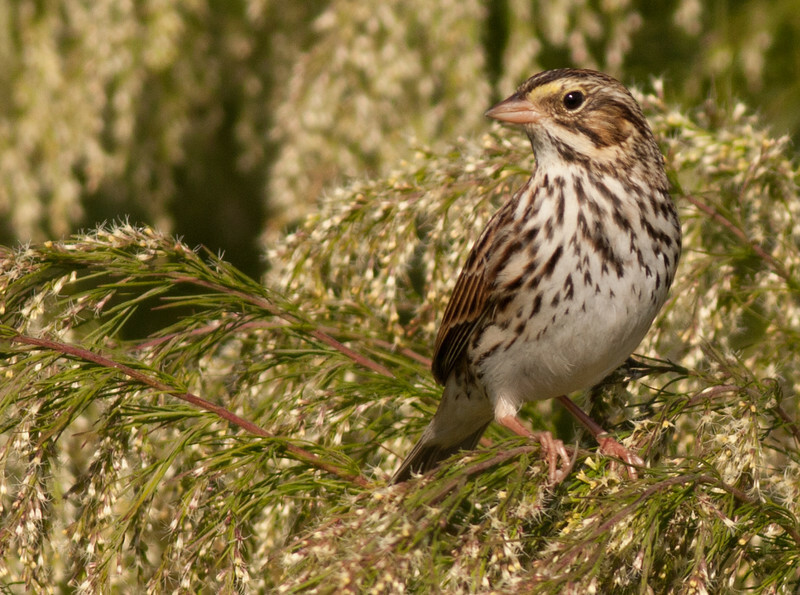 Look for Savannah Sparrows, Yellow-rumped and Palm warblers by the water's edge, as well as Marsh and Sedge wrens. In the trees this past November, I found Yellow-belllied Sapsuckers, Blue-Gray Gnatcatchers, Eastern Phoebes, White-eyed Vireo, Tufted Titmice, House Wrens, Carolina Wrens, Black & White Warblers, Yellow-throated Warblers, and Prarie Warblers. Pumphouse Loop -- Shortly after crossing the Max Brewer Bridge to put you onto the Island, you'll see a road to your left called Pumphouse Loop. You can turn on that road and park, then walk the trails. I commonly see Reddish Egrets, Roseate Spoonbills, American Avocet, Willet and other shorebirds, many gulls and terns, and lots of Osprey. I've counted 20 Osprey in this location in one morning. Blackpoint Dr -- From Pumphouse Loop it's a short drive to Blackpoint Dr. There are two parking areas on the drive. I usually stop and get out of my car at each. At the parking area with restrooms, look carefully but cautiously into the bushes to your right. Green Herons nest in there. 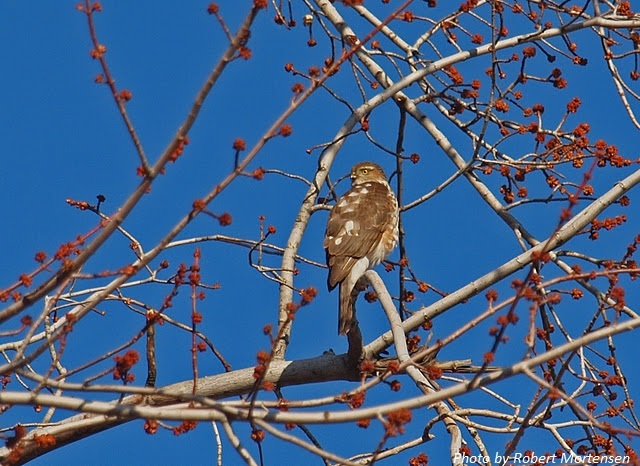 Bald Eagles, Northern Harrier, and Osprey are commonly seen on the Drive. Lately I've been seeing thousands of ducks, including Pintails, Shovelers, and Widgeon. I've even seen as many as 3 Eurasion Widgeons mixed in with American. On my last visit to Blackpoint Dr., I saw my first white morph Reddish Egret. Scrub Ridge Trail -- If you want to see a Florida Scrub Jay, the Scrub Ridge Trail is a great place to visit. Also, look for Eastern Towhee. Bring bug spray, and take it with you on the trail. No joke, the mosquitoes here can be fierce. Biolab Rd --Just past the Scrub Ridge Trail, Biolab Rd will take you south toward Max Brewer Memorial Parkway. 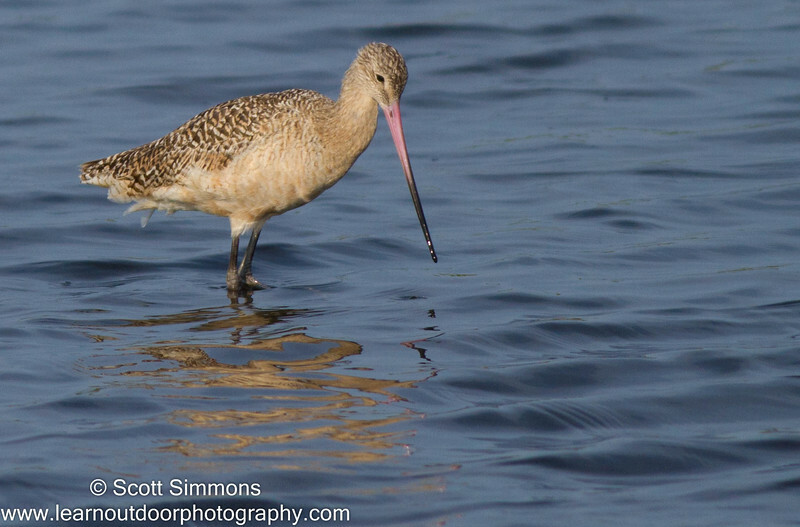 Look for shorebirds, ducks and pelicans, as well as Cormorant, and herons and egrets. Peacock's Pocket -- When Blackpoint Dr. was closed, this became my favorite destination. This road goes predominantly east-west, so in the morning, I start on the eastern entrance (where the link to Google Maps takes you). That way the sun will be behind you more of the time. This is a relatively long drive, so give yourself lots of time to drive it slowly and get the most out of it. Visitor Center -- It's a great place to visit. If you go in the morning, Painted Buntings often show up at their feeders. If you decide to try all of these, it may take you the whole day. If you can only take a morning, I'd choose Blackpoint Dr ($5 entrance fee per car--much cheaper than Disney!) 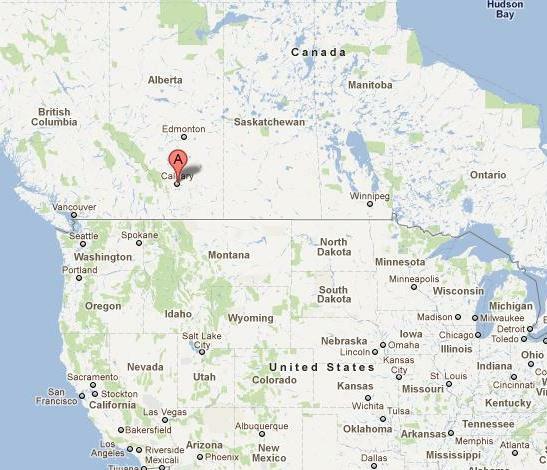 and perhaps one or two other locations. In the winter time, each of the above birding hotspots should provide very comfortable and enjoyable birding. In the summer time, each of these can become excessively hot, so take care to bring water with you, as well as a hat to help with the sun on your face. And don't forget bug spray, especially on Merritt Island. Earlier this year, I was honored to receive a 2012 TogetherGreen Fellowship from the National Audubon Society. Supported by a conservation alliance between Audubon and Toyota, the TogetherGreen Fellowship offers specialized training in conservation planning and execution, the chance to work and share best practices with gifted conservation professionals, and assistance with project outreach and evaluation. Each Fellow receives a grant from Toyota that can be applied towards a community-focused project to engage local residents in conserving land, water and energy, and contributing to greater environmental health. I will be utilizing my TogetherGreen Fellowship to continue my quest to share my knowledge and love of nature and birds with inner city youth. I plan to do this by creating an environmental “Starter Kit” that will include, among other items, my book, Birding For Everyone. 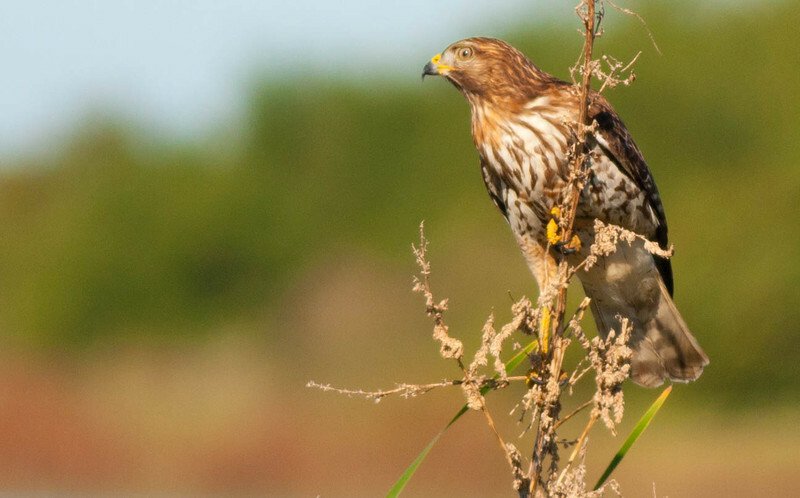 I will also be working closely with Audubon Centers and leverage connections with other conservation organizations and agencies to expand awareness and effectiveness of this program. Our goal is to reach many thousands (if not up to one million) homes with my environmental message that birding is for everyone! To sum it up, this TogetherGreen Fellowship is an honor to receive and will enable the development of tools, and gathering of resources needed to help prepare our future environmental stewards. This a nice little app for the beginning birder or for kids. The interface is very simple and intuitive. The $1.99 app comes with 40 basic backyard birds. It is expandable with 99¢ upgrades for every 20+ bonus birds by habitat. Each species has a couple nice photos, usually of the male and female. Juveniles and variable plumage details are not dealt with in this app as it is meant to be simple for beginners. My favorite feature of this app is the built-in identification skills game. 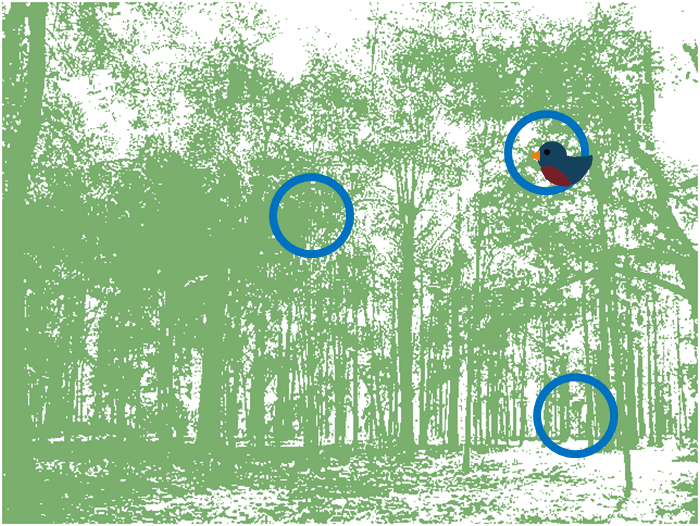 Touch the bird photo on the key field characteristics and see if you're right. Once you've seen the species, you can "add" it to your interactive scrapbook and even share it with your friends on Facebook. 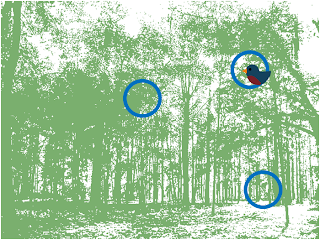 You can play the bird call/song, pull up a description of its range (not a map), read some fun facts about the bird, and have the app tell you the key characteristics of the bird identification. 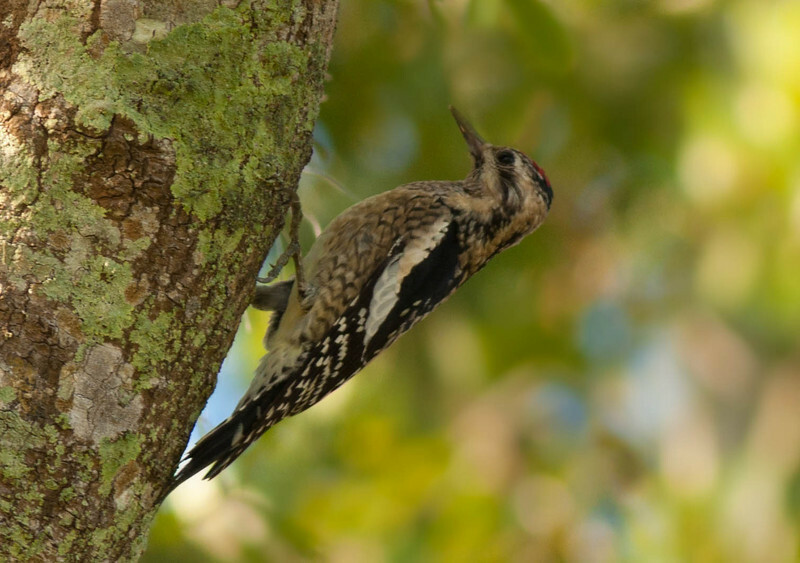 While this may not be "the" birding field guide app for the avid birder, it is an attractive and simple app to engage beginners and fuel their interest in birds and bird identification. This app was developed by WildTones who provided me a review copy of this app. 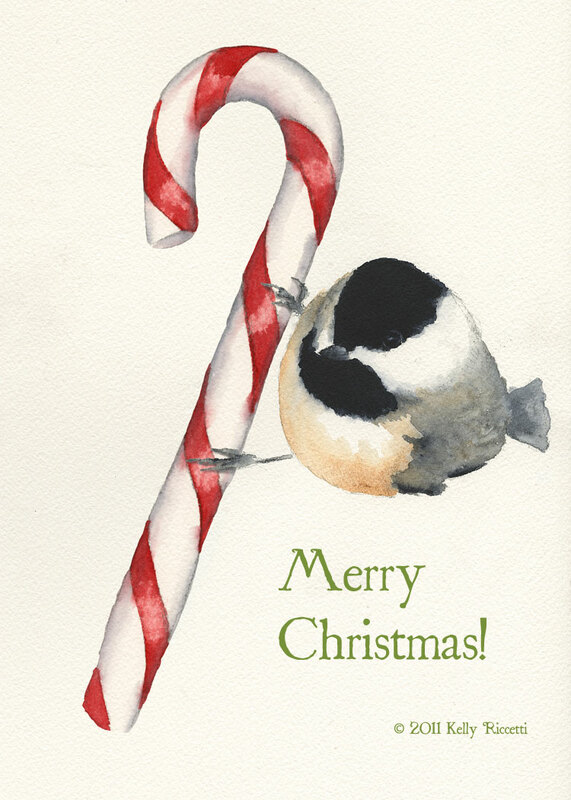 Wishing everyone a Christmas filled with love, peace and joy. in that full night of glory. and his fair mother, Mary. "Overcome are death and strife, this night is born new life,"
When rose the eastern star, the birds came from a-far.